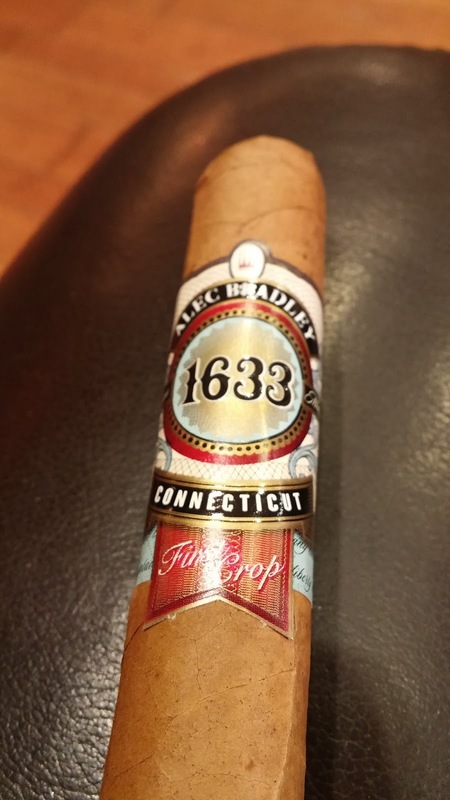 Background: As was mentioned previously, Alec Bradley released two Famous Smoke Shop exclusive cigars that pay homage to the past, specifically to some milestone dates that helped to contribute to the spread of tobacco crops in certain areas. 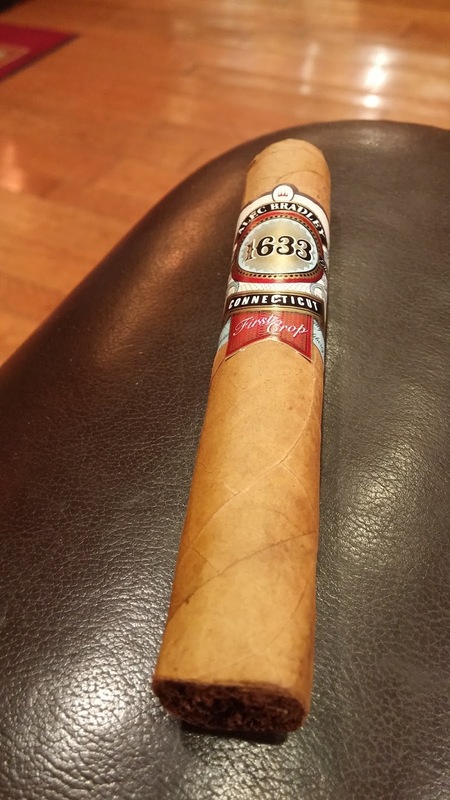 The first of which, the 1600, was in honor of the cultivation of tobaccos in Brazil. This particular offering, the 1633, commemorates when the first tobacco plants were being planted in Connecticut. 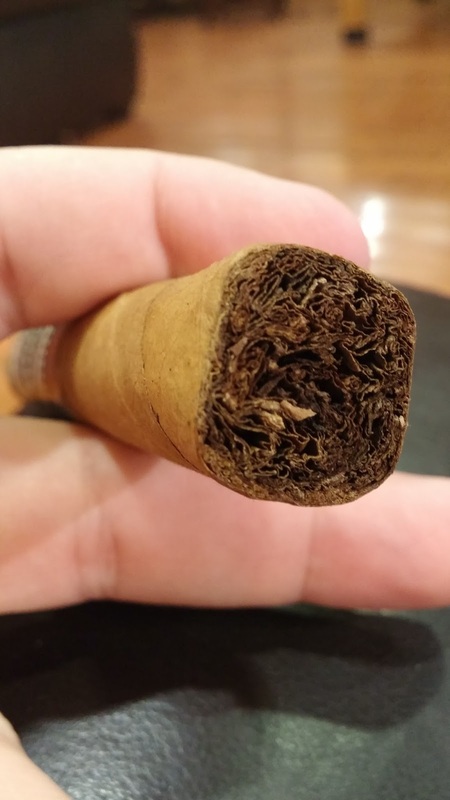 Appearance (0-20): The coloration on this wrapper is a nice light shade of tan, which is common in the Connecticut wrapper realm. There are few veins of note, with a couple of very fine blemishes, and the outer wrap is solid. The 1633 label is very much akin to the 1600 in that it’s a bit on the large side. While this one is just as intricate, the coloration is much different, bringing in a light blue and red to go along with the gold and black colors on the band. Personally I think this is a much better eye catcher when speaking comparatively. Construction (0-20): There is a firm feel to the stick with a light silky sheen along the wrapper. Minimal veins flank the outside and the wrap seems both tight and pretty much seamless. Initial cut had a small amount of debris with a slightly tight draw to begin. Post lighting the draw remained slightly tight but eventually loosened up perfectly. The burn, however, was slightly uneven throughout even though the ash tended to hold for over and inch and a half at a time. Strength (0-20): Medium strength is the billing and it hits it pretty well. I found that it was actually a bit heavier in the beginning and leveled off as the smoke progressed. Still, it never reached beyond the higher end of the medium spectrum before settling in for the long haul. Flavor (0-20): Heavy pepper dominates the mouth on the initial few puffs, with little much else to note because of its strong presence. But that pepper fades back quickly to become a secondary flavor while a much more nutty presence becomes more to the forefront. There are some hints of cinnamon and a little woodsy taste coming off it, though not extremely distinct. 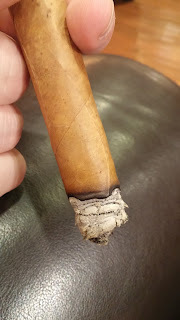 As it progresses to closer to the midpoint of the cigar, the woodsy flavor becomes something that I could pinpoint, being akin to a cedar flavor. The nuttiness still resides and is complimented by a creamy vanilla. The vanilla fades back in the final third though, with the cedar ramping up further. It ends off where it began – with a slight ramp up of the spice. Value (0-20): With this being another cigar under the $6 range, it’s hard to argue with anyone who finds this to be a good value proposition. 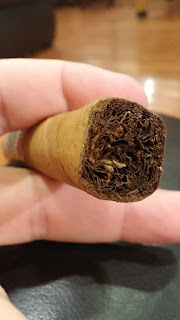 Overall (0-100): Most of the time, when you pick up a Connecticut shade wrapper, you expect a milder sort of cigar. However, with this offering from Alec Bradley has a bit of a surprise in there with the Nicaraguan and Honduran tobaccos within. But it’s a good flavor. Honestly there is nothing too big to complain about at all. Everything from the appearance on through received solid marks. The complexity is even pretty well there and for under $6 – it’s a really pleasant surprise.